First a cool little story. Grande Lakes Orlando, which is comprised of The JW Marriott Orlando and The Ritz-Carlton Orlando, recently opened an in-house nano-brewery named Whisper Creek Farm: The Brewery. The Brewery (in addition to a new restaurant) is named after their 18,000 square-foot Whisper Creek Farm that the hotels use to support their commitment to sustainable cuisine. The Brewery produces 28 gallons of beer per week, usually two styles each week using ingredients harvested in the farm. Now that's a lot of beer for a small brewery to support a local tasting room. But I'm pretty sure that those two hotel properties have guests that can afford a gallon or two just for a special spa treatment. No Doubt about it! 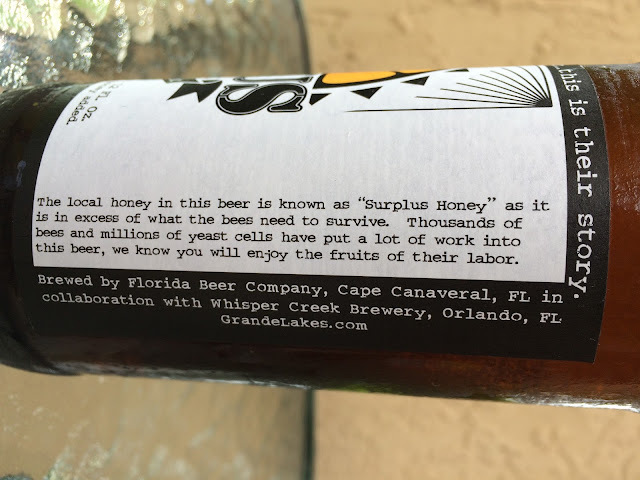 But seriously, to produce enough of its signature beer, Surplus Honey Citrus Ale, Grande Lakes paired up with Cape Canaveral's Florida Beer Company to do just that. And I got a sample and a signed note from Grande Lakes' VP and General Manager Jim Burns that says just that! 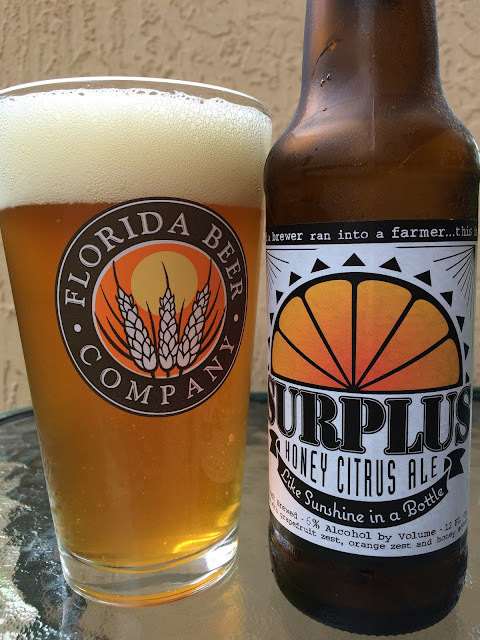 I poured into my Florida Beer Company glass for obvious reasons. Zesty aroma, fresh. Nice citrus flavors to start, especially grapefruit. Tangy with a nice subtle hint of honey sweetness toward the finish. More citrus zest comes through with a bitter stretch at the finish. Pretty good beer, interesting and the story makes the whole experience. 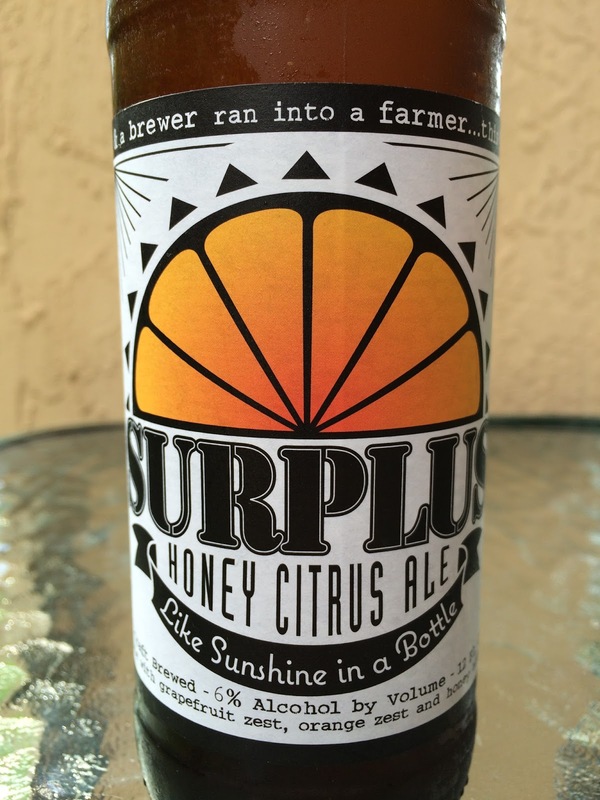 "Like Sunshine in a Bottle," as the tagline goes. I definitely hope to be able to visit the property sometime and check out all the beer varieties they brew, along with the new restaurant! Check it out if in the area.